Our Youth Basketball League is the largest youth basketball organization in New Mexico. The Y’s unique approach to youth sports emphasizes skill development, family involvement, character development, and low-competition. We always keep winning and losing in perspective. 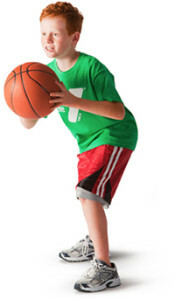 Youth basketball is an exciting sport combining team play and individual skills. YMCA youth basketball promises no try outs, no getting cut and a good amount of playing time while making friends and learning new techniques. The YMCA Basketball program offers our Non-Competitive League for youth ages 5 to 11, that want to learn the fundamentals of the game. Each player will receive a team jersey and participation award. Every child plays at least half of every game. The YMCA Basketball program returns with a fully competitive league for youth ages 8 to 17. This league will include a post season tournament, jersey and shorts, participation award, and tournament award for 1st place. Playing time varies according to each coach. NMAA High school rules apply.